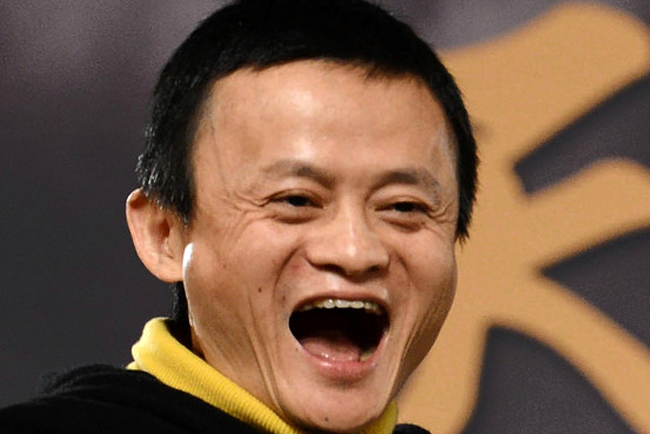 Chinese billionaire Jack Ma has made a splash on social media by posting pictures of strangers that look like him. 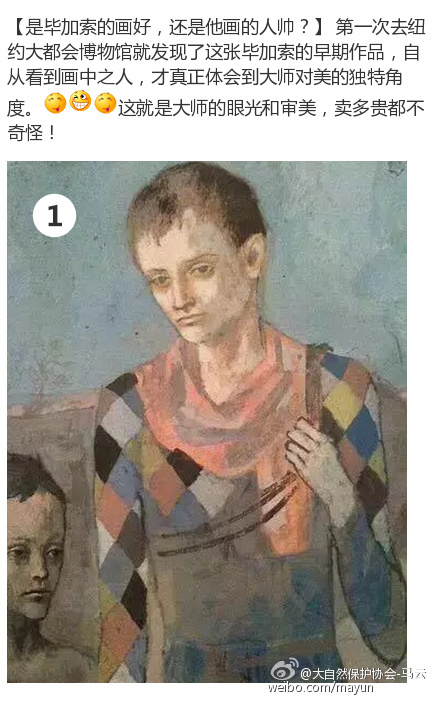 The 51-year-old founder of internet giant Alibaba shared three pictures and a Picasso painting with a character that looks like him with his 19 million followers on Weibo, China’s most popular microblogging site. The message, posted late on Sunday night, has scored more than 45,000 likes as of noon on Tuesday. Photo: Jack Ma via Weibo. 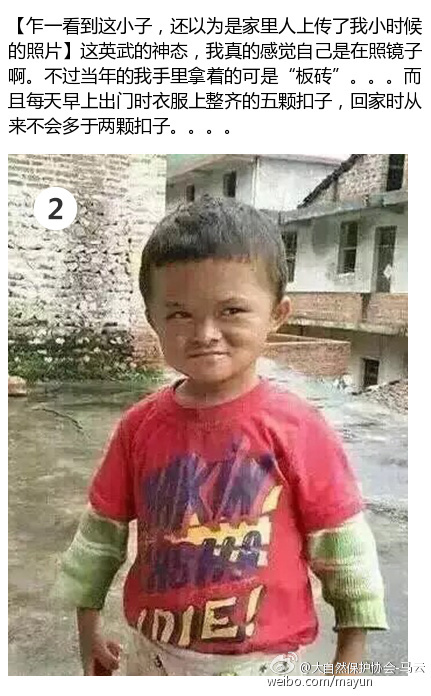 “First time I saw this kid, I thought my family had uploaded a picture from my childhood,” the second picture was captioned. Ma said when he was the child’s age, he would be holding a brick, and he was so naughty that the neat five buttons on his shirt would reduce to no less than two by the time he returned home. 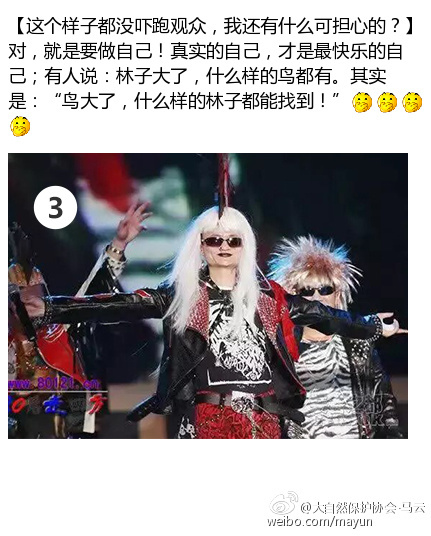 The third picture features Ma in a rock star outfit, wearing a platinum wig and dark red lipsticks. The image is from a company event in 2014 in which Ma performed Lion King songs. “What more is there to worry if I didn’t scare the audience away by looking like this?” Ma captioned. 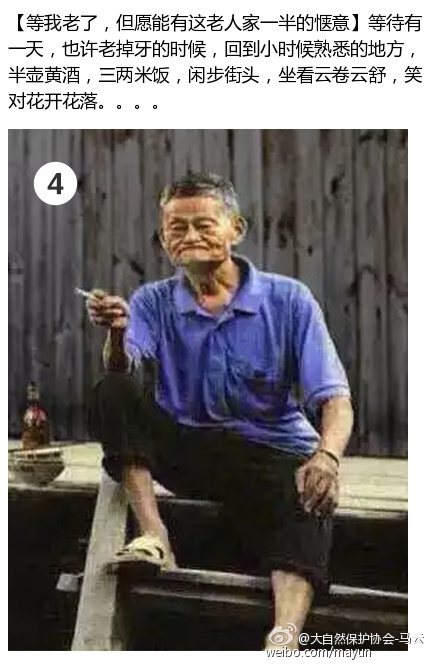 “If only I can be half as satisfied as this old man when I am old myself,” Ma wrote, envisioning himself going back to familiar places from his childhood when he is “so old that his teeth are falling out” and enjoying a simple life. In the message, Ma called on his followers to send him more pictures with people that look like him and promised to post more. Writing captions is “no easier than being a CEO,” Ma joked. 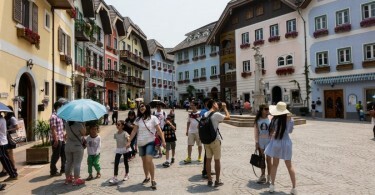 According to Forbes, Ma has a net worth of US$21.8 billion as of July 7, 2015. His Alibaba went public at the New York Stock Exchange in September 2014, raising US$25 billion, the biggest listed initial public offering in US history.